For the fishing community the ability to launch a trailered boat into the Bow River at Shouldice Park is a game changer. 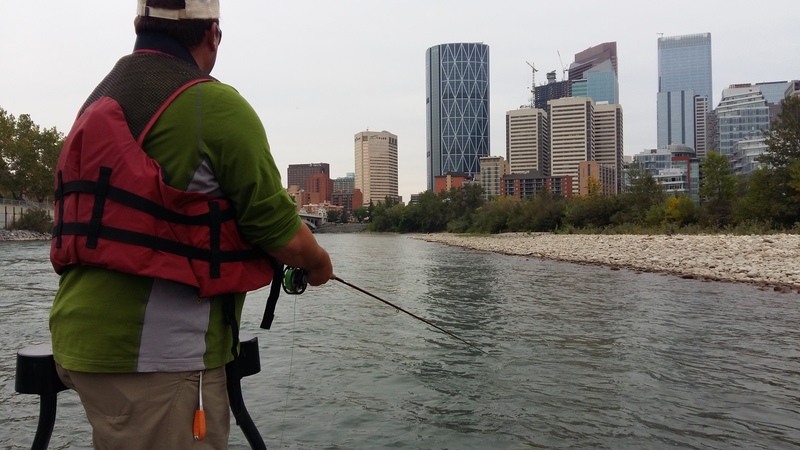 It allows for fishing from a drift boat over an addition 22 Km of Calgary’s Bow River. It more than doubles what was previous available from Graves Bridge down to Fish Creek Park. The Shouldice Park boat ramp redevelopment was not considered a priority in the Calgary River Access Strategy. The redevelopment of West Baker Park and new boat ramps at Inglewood & Ogden Bridge were given priority. Unfortunately, engineering and instream work permitting delayed the roll-out of these projects until 2019. It became evident that a solution for upstream trailered boat access was needed, especially in light of the reopening of Harvie Passage in the summer of 2018. Thanks to an agreement between Calgary Parks and Calgary River Users’ Alliance members Bow River Trout Foundation, Alberta Outfitters & Guide Association of Alberta and Rocky Mountain Paddling Association a directive was put in place to open Shouldice Park as a public boat ramp. The site selected was the same as that used by all river users prior to the 2013 flood. That is, an open area under the 16 Ave NW Bridge. With the removal of the cable barrier and limited excavating of the approach to the the river bed, access is now available to the public. There is adequate truck/trailer parking on 13 Ave NW east of the bridge for up to 10 vehicles provided cars use the assigned angled parking and parking lots within the park. The river access site under the bridge is for boat drop off only. Harvie Passage – The portage channel has insufficient width to operate the oars of a drift boat and potentially the rocks on each side of the drops during lower river flows constitute a potential hazard. Bonnybrook Water Waste Treatment Plant in-stream excavation work below the CPR Bridge. We would like to take this opportunity to thank the City of Calgary and specifically Calgary Parks Department for making the Shouldice Parks Public Boat Ramp Possible.